Final entry for the Phillies game. This one widens out to a much larger personal picture. Like I said, it was me, Jack, Alex, and Shani’s dad. Boys trip to the Phils. We parked at the Holiday Inn lot. “This is a good hotel to stay in if you’re going to the game,” Jack said. “Just like the Drury Inn in St. Louis,” my father-in-law said. We’d gone to a Cardinals game in St. Louis together last summer. As he brought that up, something really struck me, I found my energy level jump even higher. “Look at this!” I called out, clapping my hands. “The boys are headed to a baseball game again.” At the time I didn’t know why I was so excited, but I’ve given it some thought and I have a theory. Shani was gigantically pregnant with Alex. We had left NYC and were living in a temporary apartment outside Philadelphia. Shani’s mom came to stay with us for the last month of the pregnancy. She slept on an air mattress and helped take care of Jack while I was at work. The plan was for my father-in-law to come when Alex was born, but he and my mother-in-law are deeply interconnected. After 3 weeks he couldn’t take it any longer and he joined us. They rented the apartment next to ours. We climbed the steps into the stadium with 2-year-old Jack between us, each of us holding one of his hands. We reached the top of the stairs and looked over the field. Jack was stunned. We had a terrific time at the game. Tickets were $7.00, we had hot dogs and a few beers. Jack spent most of his time searching for the Thunder’s mascot, Boomer. 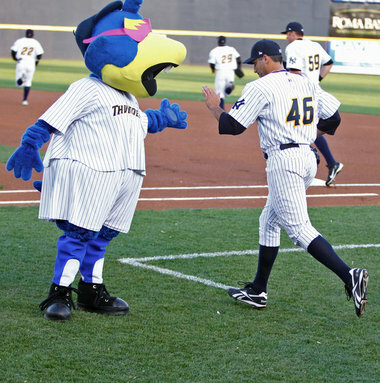 “Thunderchicken!” Jack would squeal every time he spotted the mascot among the crowd. My father-in-law got us tickets to a Yankees game. Jack and I drove into the Bronx. We bought Mariano Rivera T-Shirts on the way in and then found our seats. I expected Jack to be bouncing with excitement, but instead he was subdued. I kept asking him if something was wrong. 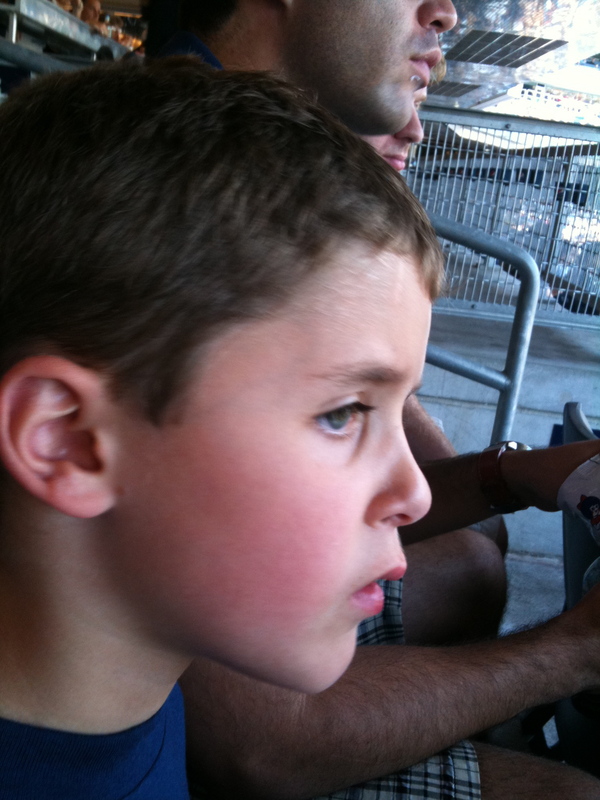 Finally, I realized that he was dumbfounded by the ballpark. He spent the entire game in a daze. That year Jack really became a Yankees fan. He was 6 and able to genuinely follow the team. Each morning we’d watch recaps together and check the Yankees standings. We followed them through the playoffs and even watched a few games. They went on to sweep the Twin in the first round of the playoffs, beat the Angels to make the World Series, and then in 6 games beat the Phillies to win it all. I have great memories of other Yankees teams that won it all in other years, but they were nothing like that team and that year. Jack brought something thick and heavy to it all. There was a richness to it. Other years were cotton candy. This year was an ice cream sundae. 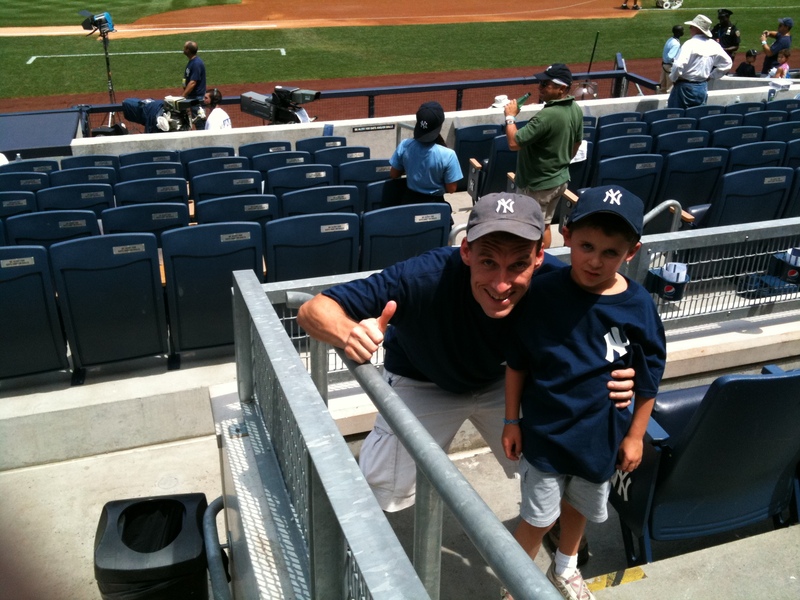 Up until that season I was a Yankees fan. After that season I was a baseball fan. We visited my in-laws in Arkansas and on a crystal perfect evening drove to an Arkansas Naturals game. Our family was in the midst of a glorious road trip across the country. The game was just fantastic. We laughed at the weird one-man-Village-People act that came out between innings. We ate hot dogs smothered in bright yellow mustard. For the first time Alex made it through the whole game without a single complaint. All six of us left the park glowing from sharing such a great time together. I think something changed for my father-in-law that game. 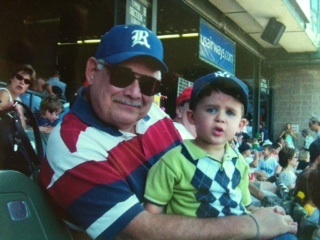 It began a tradition of going to baseball games together, but for him it was much more than that. Baseball grabbed him – or maybe re-grabbed him — in some emotional way. He started actively following the Cardinals again. He and Jack would talk baseball on the phone when he called us. He and Shani’s mom now take weekend trips to go to Royals and Cardinals games. But back to the Phillies game. That moment in the Holiday Inn parking lot when I realized we were going to a game together again. That moment that struck me so vividly. At the time I didn’t know why it struck me so powerfully, but now I think I know. 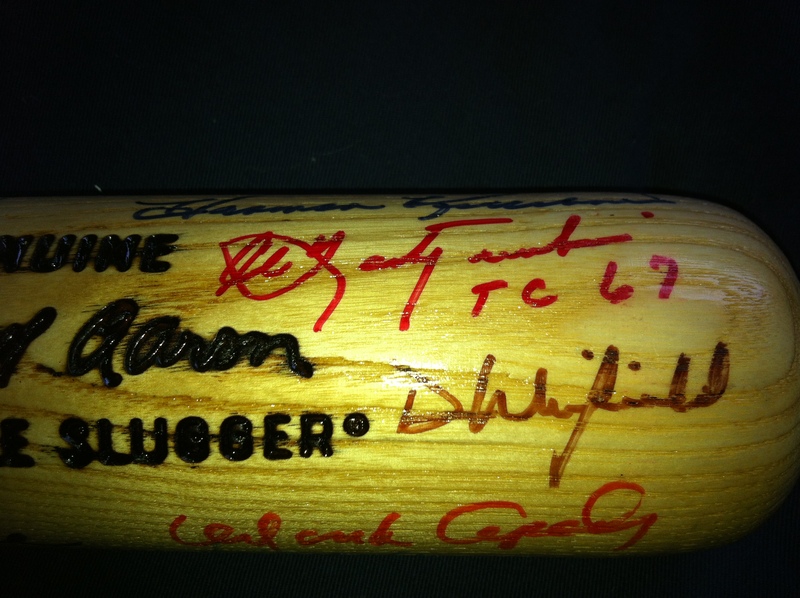 When you ask me why I love baseball, one of the reasons is the history. You can go see a team that’s been around for over a century. Every season you’re witnessing the history of the game continue. You’re part of it. Every year records get challenges and set. It’s always unique and yet always the same. And what occurred to me as we headed to that Phillies game was that we were doing more than going to a baseball game. We were creating our family history. That was the power of that moment. And perhaps the power of baseball. Can’t wait for our next game together. Special thanks are due to Andrew Kaufman for setting us up for the tickets to the game. 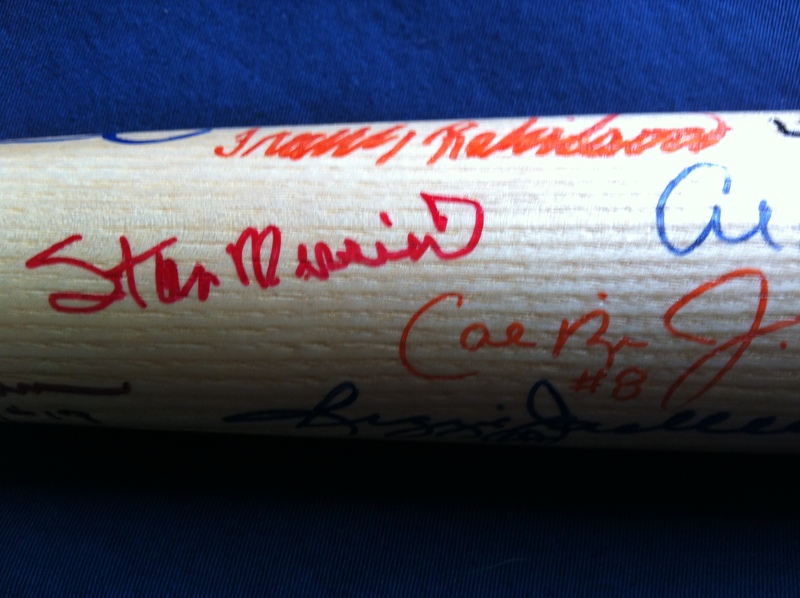 Here’s a look at Andrew’s legendary autographed bat. Our entire family thanks you, sir. Mike: this blog has come at such a great time. Last year I really embraced baseball. 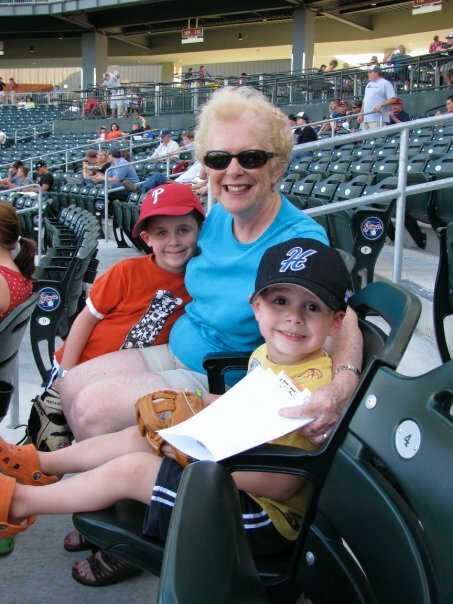 I didn’t grow up in a baseball family so it has been just me and my lowly Mets…it hasn’t been easy! But I want to hit all those great stadiums too! Went to Fenway and Wrigley last year. Coors Field this September. Keep up the good work and inspiration! Thanks for the compliment, Collette. Maybe we can catch a game together some time!